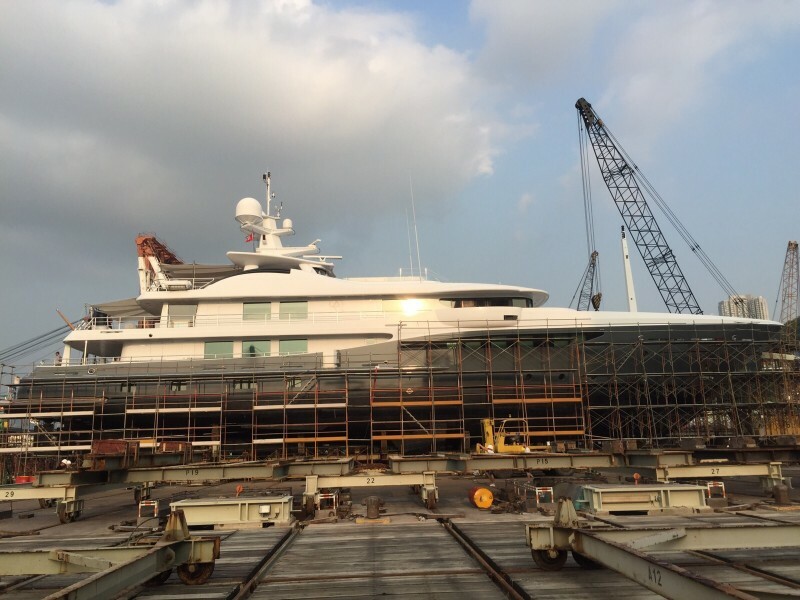 Amels Built M/Y April receives vinyl film application by Wild Group in Hong Kong. 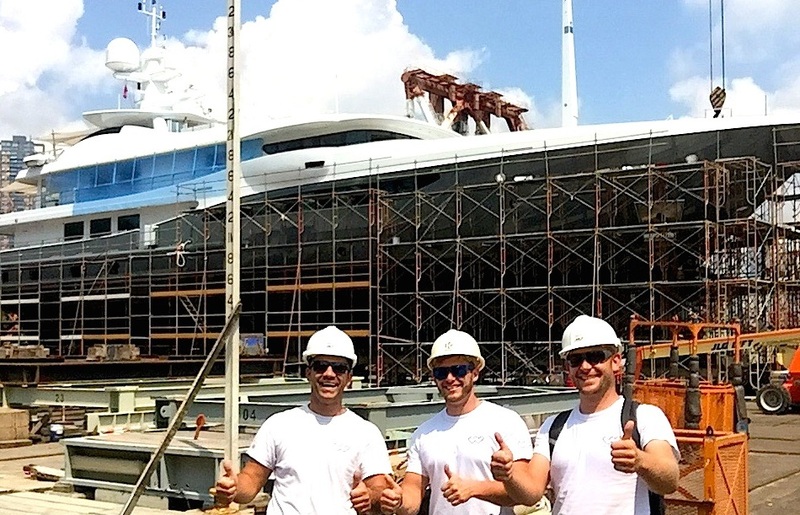 Wild Group recently completed a full hull wrap and stripe on Amels Holland built M/Y April earlier this month. 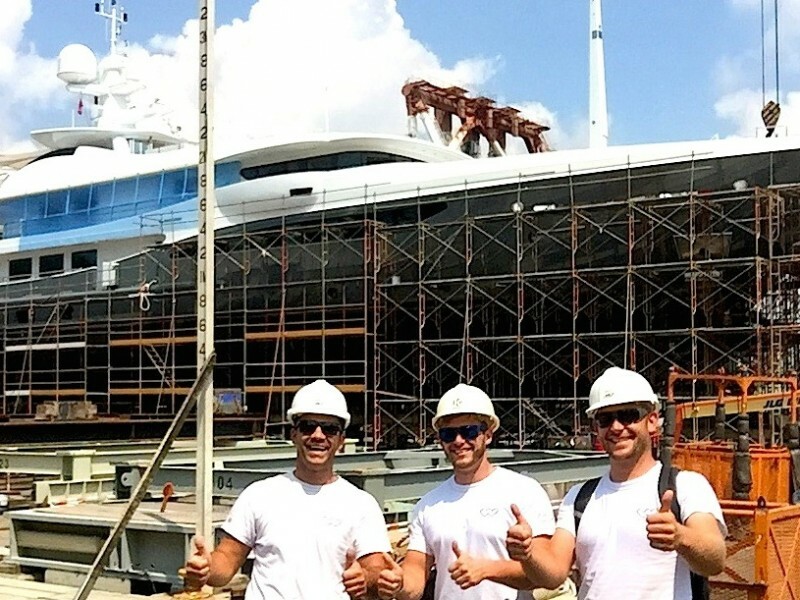 The project was completed in under two weeks in Hong Kong. 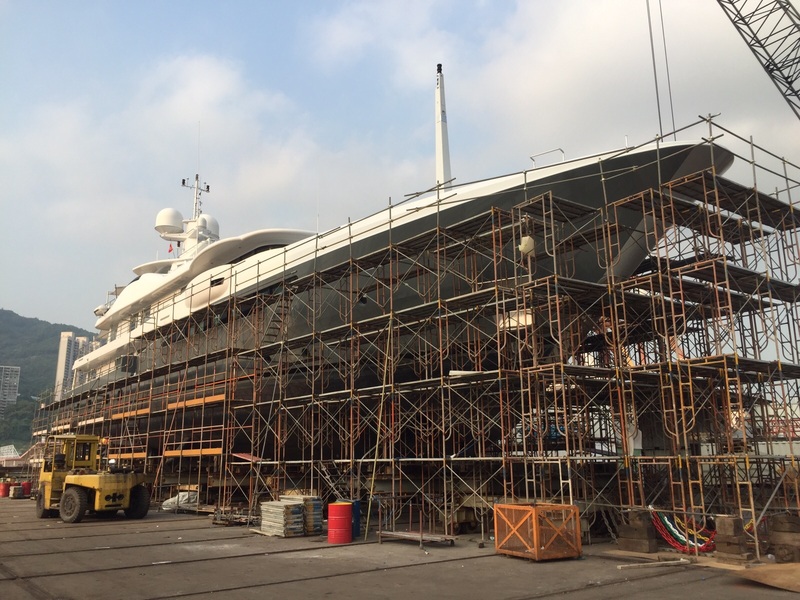 The captain of M/Y April consulted Wild Group earlier in August as her paint finish was in bad condition. 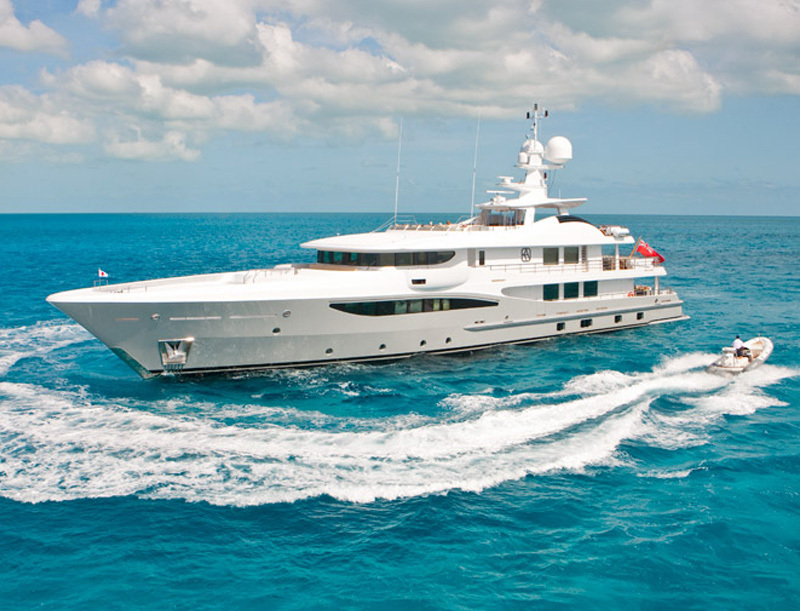 The time was tight for the project to be turned around, which meant that a foil and film finish was the perfect option. Wild Group involved Rory Marshall of ‘Newmar Overseas’ to provide a full survey of the condition of the yacht prior to starting the project in order to ensure the captain and the shipyard had a good understanding of the yacht’s condition. 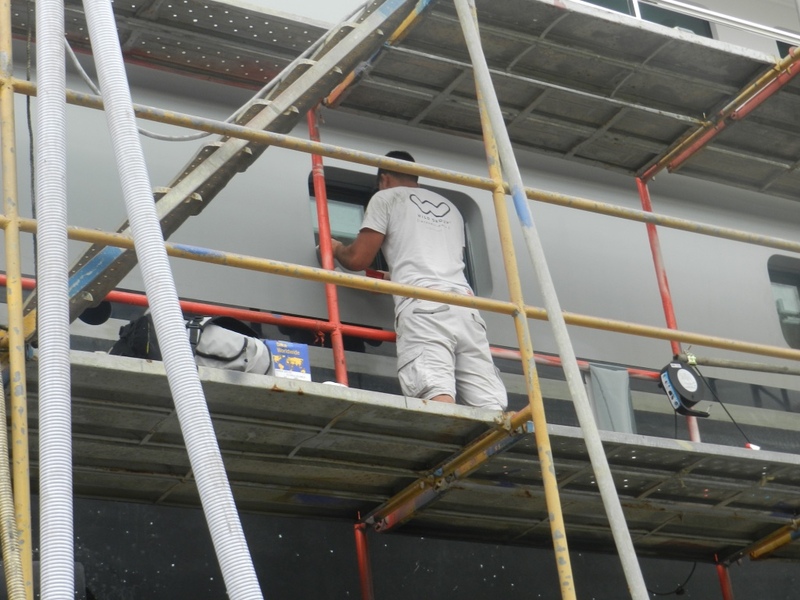 Rory is an advocate of both wrapping and paint finishes and has been working closely with us for some time.